The standard retort from those who run half marathons is, “Remove the ‘just’.” As in, “it’s just a half marathon.” Running 21.1 km ain’t a walk in the park, folks, and until you’ve done one, it’s best to say nothing and just imagine. So it goes, too, with the typical minor hockey coach. I’ve heard coaches mutter, “I’m just an ordinary [fill in the team and level] coach trying to help the kids.” Hearing this annoys me. It wouldn’t matter whether the coach is dealing with any sport or other volunteer activity with kids. My reaction remains the same: giving of yourself to help the kids, knowing you’re providing a valuable service to the community, is golden. I can’t know of course if someone is just being modest or otherwise, not that it matters anyway. What I’ve discovered over the years is that minor hockey coaches want to improve. Perhaps it’s a natural human instinct to want to get better at whatever we do. I’ll leave that to the sociologists. Certainly kids do. One former coaching colleague used to remark how kids just need good coaches to show them how to do it. They don’t even need great coaches, just good, fair and open-minded ones. 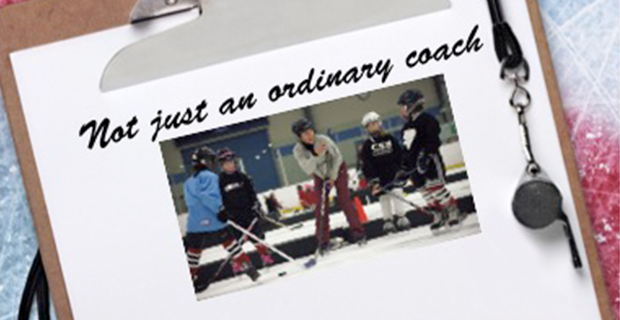 Who then is the “ordinary” coach? Why make a fuss at all? The typical minor hockey coach is just about anyone who isn’t coaching an elite level team. Even more special are the ones whose own children have long since left minor hockey and continue to coach for the good of the game. I have a particular soft spot for them because they sure don’t need to coach; there’s no vested interest anymore. It’s something I’ve not seen a lot at the elite levels where ex- elite players coach their own kids then leave the game once the kids are gone. We need to convince them to stick around; that their own experiences can touch many more youngsters; that becoming “just” an ordinary coach of, say, house league kids is giving more to the game than they can imagine. When we talk about dealing with kids, all of whom except perhaps one aren’t family, it seems inadequate to say someone is an ordinary coach. The responsibility is too great and the potential impact too broad. As to why we should make a fuss over it, well, no, we don’t need to at all. I happen to believe though that not enough credit goes to the non-elite coaches, which is about 90% of them. We make a fuss over coaches whose players get drafted or chosen for some elite league, as if they alone were responsible. If it takes a village to raise a child, it’s even truer that a great many people, including their earliest coaches, prepare a hockey player.